The Ascend H12 is one of the newer offerings from Bass Pro’s Ascend line of kayaks. 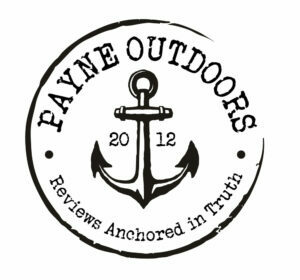 It has caught the eye of many new to kayak fishing and even some of us old dogs that have been doing it a while. Looking for a review? Here it is. The H12 is a hybrid kayak, a nice mix of a sit on top and a sit in. It offers ample space, a way to stay relatively dry and plenty of room to stretch out. At $700 it has garnered a lot of interest. Unlike some hybrids on the market, the H12 comes with a frame style seat. It is adjustable forward and backward to adjust the weight balance (which can trim out how the kayak paddles). The wide open cockpit means you can stretch out for a lazy day float or store tackle and other supplies directly in front of you. The Ascend H12 also comes with gear mount tracks in several places, a hard front hatch cover and a nylon cover for the back. These are add ons for other brands. I like the stability of this kayak. At 32 inches wide and distributing some weight below the water line, most people will be able to stand and fish if they desire. I am NOT saying anyone can stand and no one will ever fall out. The hull is designed in such a way that it can and will rock slightly as the water fills the channels on the underside if you lean to one side or the other. It has secondary stability points built in but for the novice who isn’t used to standing, the rock, even though it is slight, could cause some uneasiness. It takes practice to get used to the feel of a kayak moving under your feet, especially if you are coming from a bass boat background. Don’t expect 32 foot center console stability in any kayak. Of all of the scores of kayaks I have been in, this is one of the easier to stand in. I also appreciate the 450 pound weight capacity on this kayak. Higher weight cap and more stability makes this a pretty good option for folks who are worried about stability in a kayak (at all, not just for standing) like my Dad. If you are over 250 pounds and looking for a stable, I’m not going to fall out of it, just want to go fishing kayak, give this one a hard look. While I like the frame style seat, it sits a little low in the hull. I’d like to see it raised about four inches. By sitting lower in the hull like it does it could prove challenging for folks under about 5’6”. You will for sure need a longer paddle for this kayak to avoid knuckle bruising. Think 260 centimeters and up. Inside the hull the H12 has three bags that are able to suspend from the interior curvature under the rails. The location of the front one where the cockpit meets the front hatch area is good but the left and right side bag locations are too far forward. I’d like to see them closer to the seat if not mounted right beside the seat on each side. The cup holder that is built into the seat doesn’t work well. It’s too tight against the seat and the seat is too low to wedge a 12 ounce can into it. This could be scrapped completely. This kayak has a lot of bang for the buck. Keep in mind hybrid kayaks will have a floor that feels differently than a sit on top (if that’s what you’re used to) because your feet will feel the water lapping against the hull and passing underneath. It’s ok.
For me, at $700, this kayak is a buy. I’d make sure you read up on deep water re-entry in a sit in kayak before getting too adventurous because safety is planning for the inevitable. If you are into overnight kayak camping this is a great option. If you are a big guy who desires stability, this is a great option. Other than a few modifications, I can’t say enough good things about the H12. Looked at the hybrid but went with the fs10 sit on top. Just in case I needed to reenter I am more comfortable with a sot. Hybrid would definitely be nice for colder weather though. Hey man thanks for the review I’m wondering how the h12 would be for portaging/ river trips with a few small Rapids. I’m 6’3 295 sat in it at the store had lots of room and what I believe to be enough for a trip into the bush. ?? Any thoughts. Cheers. I’d recommend a cart if possible and if not maybe put on a keel guard if you’ll be dragging it. Should be good to go. One other tip, take a hand held bilge or a big sponge. If water gets in you’ll have a way to get it out. How dose the h12 handle a windy and choppie day. The wind will push you around because of the high sides. What is the best j hook for this kayak?